We had 14 people on this trip: Roddy, Diane, Betty, Dave W. (the hike leader), Jane, Gordon, Gary, Dinah, Chris and Jen and their four children, Brooke, Tristan, Jackson and Kade. 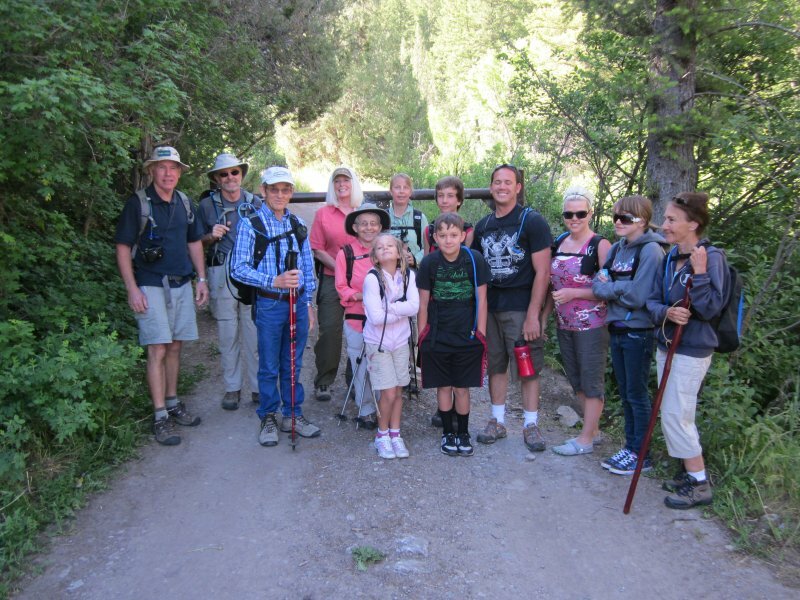 The group kept fairly close together throughout the hike in spite of the wide range in age. Most of the trail was in shade, a welcome feature for this warm, sunny day. We saw wildflowers everywhere, including columbines, bluebells, penstemon, larkspur, balsam root, mule's ear, thimble berry, scarlet gilia, indian paintbrush and more. The hike started at the locked gate on Card Canyon road, with a 3/4 mile walk to the archery range. 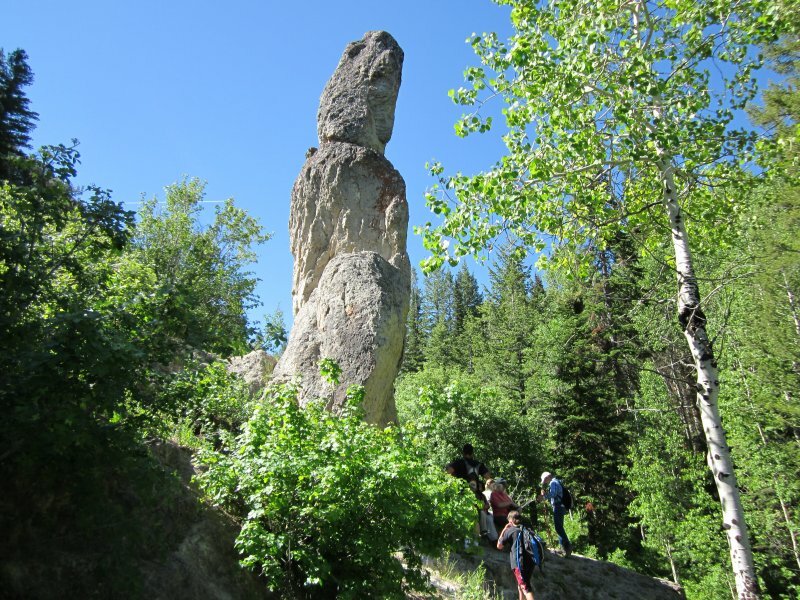 Here, we took the shady (and brushy) Card Canyon East trail, 1.5 miles to the standing rock. A number of trees across the trail hindered our progress as we hiked the next mile, from the standing rock to the Logan Peak road. Next, we walked to Card Canyon West, where we encountered more vehicles (mostly ATVs and motorcycles) than we have ever seen along this section of gravel road. 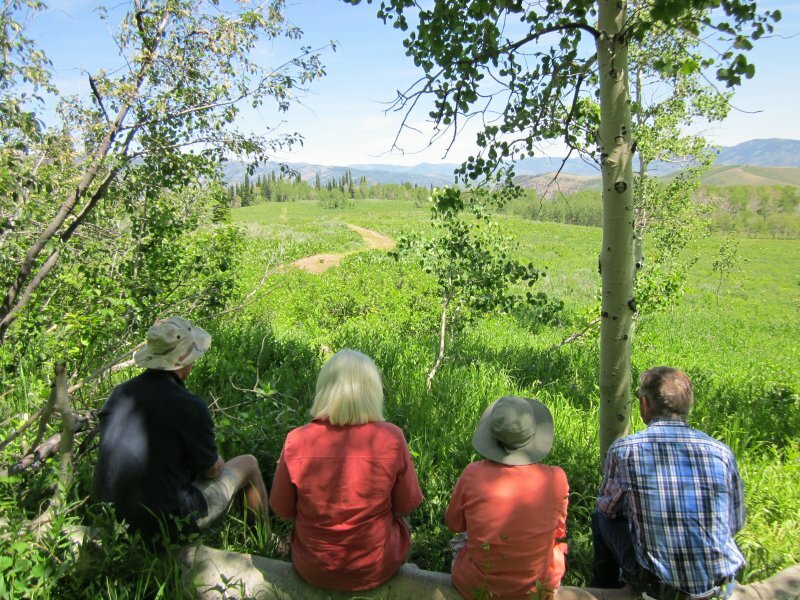 After 3/4 miles we left the traffic behind and enjoyed a scenic lunch break overlooking a wild-flower filled meadow overlooking west Card Canyon. The final 3 1/2 miles back to the gate went fairly quickly, although there were many slips and a couple of falls as we traversed the deep ruts and loose rocks of this trail section. We all had fun spotting the life-like animal targets in the archery range near the end of the trail. 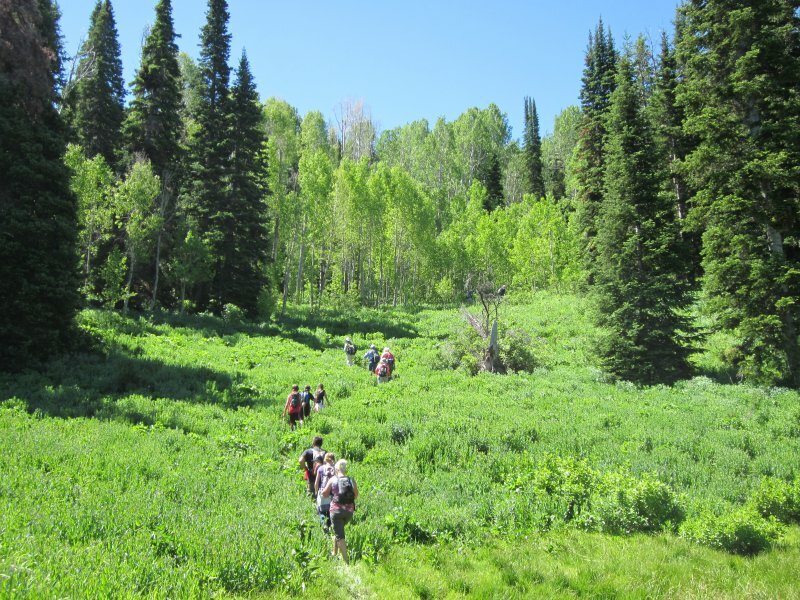 Total distance for this hike was about 7 miles round-trip and 2400 feet elevation gain. Total trip duration, including the drive from parking lot to trailhead and back, was about 7 hours, from 8:00 a.m. to just after 3:00 p.m.